posted on Tuesday, March 13, 2018. Click to view the 2011-2016 Racine County Fetal, Infant, & Child Death Review Team Report . 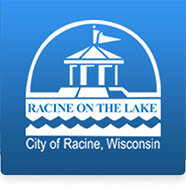 Click to learn more about these efforts in Racine County . Infant and child mortality are important measures of the health of communities. According to the Centers for Disease Control and Prevention (CDC), the infant mortality rate is used to measure the well-being of a nation, because factors affecting the health of entire populations can also impact the mortality rate of infants. Similarly, Dr. William Perloff, former Chair of the Wisconsin State Child Death Review Team, noted that "a measure of society's worth is how well it cares for its most vulnerable members. Our children are both our most vulnerable individuals and our future. How, then, can we not treat the loss of even one child as an event to be prevented if at all possible?" With this understanding in mind, Racine County has developed approaches to examine local fetal, infant and child mortality data and worked towards prevention strategies. A Fetal Infant Mortality Review (FIMR) team of Racine began in the summer of 2006 as a collaboration of individuals representing multiple health care settings and community organizations who were concerned about African American fetal and infant mortality rates in the City of Racine. Spearheaded by Wheaton Franciscan Healthcare (now Ascension - All Saints), the infrastructure for the FIMR project was developed in the spring of 2007 and the team met for three years until funding ran out. A report for those three years was produced by Ascension - All Saints and its academic partners. In 2010, Racine County local health departments received a seed funding to pilot a Child Death Review team (CDR). The purpose of starting a CDR team was to better understand how and why children were dying, and to promote actions to prevent other deaths. The goals of the CDR team were to: understand risk factors and circumstances surrounding each child death; identify opportunities to influence policy and programs; improve child health safety and protection; and prevent other child deaths. A multidisciplinary Racine County CDR team commenced meeting on a quarterly basis with ongoing State funding support. In 2012, Racine County local health departments received Wisconsin Department of Health Services funding to restart a FIMR team. FIMR and CDR share the common goal of preventing deaths and improving investigations, community services, and agency practice. Given limited resources and common goals, a joint CDR and FIMR team was created. Due to different review processes, the CDR and FIMR team held separate back-to-back meetings. In addition, other stakeholders were added to the team to broaden fetal and infant death expertise. FIMR funding allowed for the team to review fetal and infant deaths from 2011 through 2016. One fetal, infant or child death is one death too many. However, we are grateful that the number of deaths in Racine County is low enough that we needed several years of data to identify statistical significance of causes and risk factors related to deaths. In these six years, there were 14,388 live births in Racine County (WISH - Birth Counts Module, 2017) and there were 62 stillbirths, 104 infant deaths, and 87 child deaths. The goal of this report is to share with the Racine County community the findings obtained from the fetal, infant, and child death reviews in order to help inform prevention efforts. For the purpose of this report, data will be reported by separately by first fetal and infant deaths and then by child deaths. When the CDR and FIMR teams were joined together, the goal was to work towards a true CDR/FIMR hybrid team, the first of its kind in Wisconsin. This goal was important to ensure the long-term sustainability of the CDR and FIMR teams. As such, this report presents data from 2011 through 2016 and marks the beginning of a hybrid Fetal, Infant & Child Death Review team (FICDR) in Racine County.